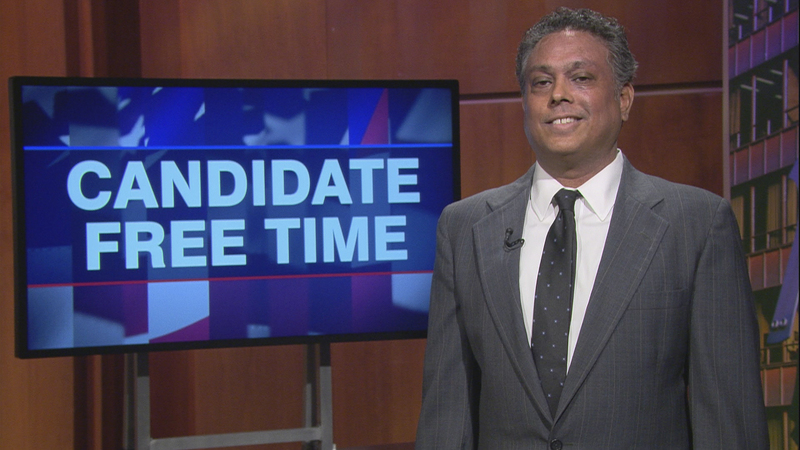 Video: Sanj Mohip tells voters about his platform. Learn more about Candidate Free Time. My vision is to partner with my Governor to advance his vision for lower taxes, less government intrusion, and a more economically sound and prosperous Illinois. The citizens of Illinois are being taxed out of their homes. People are selling their homes at a loss and leaving the state because they cannot afford to live in Illinois any longer. We have to change how to fund our state employee’s retirement. As Lieutenant Governor, I will work with my Governor to introduce a more stable and affordable retirement plan that would benefit not only the workers but the citizens of the state. My father was the seventh of nine children born in a third world country. Today, his oldest son is running as a Libertarian for the office of Lt. Governor of the great state of Illinois. I am Sanj Mohip. I am proud to be a libertarian and proud to be included on such a great ticket in Illinois, full of qualified individuals all running for offices in their profession and their passion. Kash Jackson is a 20-year navy veteran and my running mate for Governor. As Lt. Governor, I will focus on making Illinois more business friendly. Specifically, I will work on transitioning occupational licensing requirements to private industries. By moving the management of certain licensing requirements to experienced peers in the private sector, it will lead to a reduction in overregulation and greater licensure of low-income occupations. I advocate personal and economic freedoms. As Lt. Governor, I will support the governor with legislation that is working to dismantle government overreach and protect the civil liberties established in our Constitution. A lot of candidates say they want to be the mouthpiece for their party or their movement; I would like to be the earpiece. I have been traveling around the state and have been listening to citizens from all walks of life express their concerns for Illinois. But listening will not stop once elected. As your Lt. Governor, I will continue to talk and listen to small business owners, teachers, parents, and community leaders about their concerns. I intend to be accessible through social media and provide public forums so that dialogue between citizens and their government can continue. I want to remain a presence to the people so that together, we can find solutions to bring Illinois back on track. Vote for Kash Jackson for Governor, Sanj Mohip for Lt. Governor.